What’s It About? Photojournalist Rebecca (Juliette Binoche) travels the world, capturing the suffering and heartache of those afflicted by war. A Thousand Times Good Night begins with a strange scene – a young woman lays awake in a deep, dusty grave surrounded by tribal elders, who proclaim the greatness of God. It becomes clear that this is a religious ritual for a suicide bomber. As elders murmur inaudible religious phrases the young woman is bathed, then straps to her chest a vest full of explosives. All the while, Rebecca darts around snapping picture after picture of the ceremony. Rebecca joins the suicide bomber on her last living moments, but ends up at a hospital in Dubai, badly wounded, due to the impact from the explosion. Verdict? Erik Poppe (writer-director), a former photojournalist himself, creates a topic heavy film that focuses on the immense strain of balancing a dangerous job and familial relationships. Poppe directs a visually compelling picture, using evocative Middle-Eastern music to accompany eerie scenes of terrorism. These opening raw segments offer a glimpse to a relatively unknown world currently populating conversation in Western media and culture. Yet this isn’t a Hollywood snipe at terrorist activity, neither is there any sympathy for such plight. The camera photographs and the public view the devastation. A Thousand Times Good Night depicts the importance of recording conflict, documenting the horrors of war and its harrowing impact on societies. The camera never lies – and Rebecca explains to her 15-year old daughter Steph (Lauryn Canny) the moral significance of her pictures. When Rebecca exasperatedly tells her daughter that a Paris Hilton scandal made a larger splash in the media than a bloody civil war in Congo, it’s clear that Erik Poppe’s journalistic background has seeped into the film. 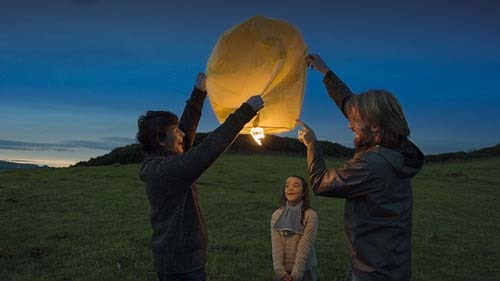 Rebecca, reunited with her family in Ireland after the explosion, struggles with realities of the mundane, admitting to friends that her husband Marcus (Nikolaj Coster-Waldau) has the tougher job of raising the kids. Steph, in particular, has difficulty dealing with her mother’s traumatic job and Rebecca is forced to make difficult decisions – family or career. Desperate to heal the rift with Steph, Rebecca convinces Marcus to allow mother and daughter to photograph a safe refugee camp in Kenya. But the bonding swiftly transforms to disaster when militia enter the camp, spraying bullets in all directions, murdering aimlessly. Traumatised, Steph flees to the car anticipating her mother to join; Rebecca has other desires, running towards the havoc snapping photographs of the militia as bullets fire blindly into innocent, vulnerable people. She survives though, and captures those indispensible photographs – the next day UN trucks roll in to safeguard the camp. Steph is left reeling from the traumas in Kenya and Poppe poignantly illustrates the contradiction of motherhood and war correspondent, how the two roles clash horrifically. Steph and Rebecca initially hide the Kenya horror from Marcus, but as the young girl internalises her distress, the father finds out. Unsurprisingly, Marcus is appalled and a despairing sequence of events leaves the family fractured. A Thousand Times Good Night adept ly portrays the moral complications facing those in important positions. In one scene, embattled by Steph’s assertions of her ineptitude, Rebecca finds herself facing the camera – Steph snapping the clicker and capturing her mother’s failure. Poppe flaunts his artistic prowess, here, capturing a moment resoundingly stunning in its symbolic accusation. 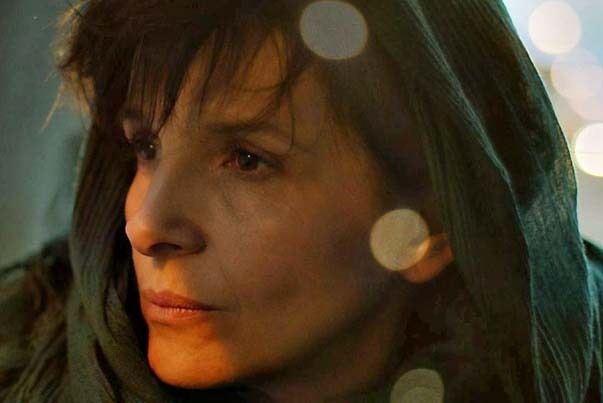 Final words: A Thousand Times Good Night drags in places, but Juliette Binoche provides a natural performance in this troubling film. Poppe’s artistic, beautiful cinematography delivers the most powerful of moments and a shocking final scene will leave all thoughts scatterbrained. A Thousand Times Good Night is in UK cinemas from 2 May 2014.